What is the performance difference on CEMU (with games such as BOTW or Wind Waker) between a Ryzen 7 2700x vs an i7 8700k? I know the i7 8700k performs better, but I would like to get a rough idea of how much better, for example percentage-wise with respect to frame rate. I am building a new system that will be primarily used for gaming (modern games, older games, and emulation), and I am trying to decide between the Ryzen 7 2700x and the i7 8700k (or the upcoming 9th gen refresh). I will be pairing it with a 1080 ti. The displays are a 3440x1440 @120 Hz monitor and a 4k TV. I would greatly appreciate your feedback and related personal experiences! Well with the latest cemu I get 54fps in the most demanding scene (Hateno) in Botw in 4k. If I drop lower down to 1080p I am getting constant 60fps. The original wii-u drops down to 24fps in that scene in 720p so go figure. As for windWaker, you run it in 60fps no matter what scene. Botw. is the most demanding Wii-U game. I guess the 8700k might push you towards a constant 60fps in 4k if your graphics card can pull it off. 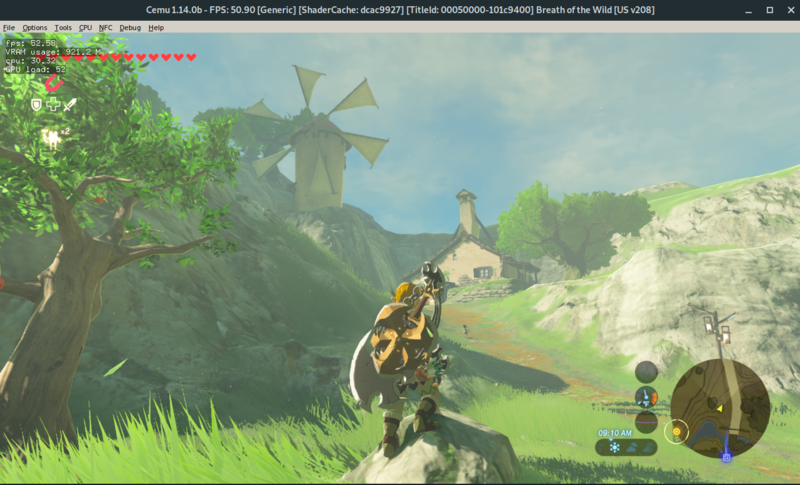 The 1.14c cemu really is a huge improvement, as long as you have an nvidia card. Well, I just posted a video about this. The other is a threadripper 1900 at 4 ghz. many users will attest to the fact that CEMU is built for nvidia and that ATI’s “crummy OpenGL stack is oftne wrongly blamed for poor CEMU performance(I don’t believe this one bit as I get excellent performance on every other OpenGL program/game I run) I believe CEMU is not optimized for anything AMD.... hence the discussion/thread I started. a) Using an AMD graphic card, Cemu favors heavily NVidia because it still uses OpenGL and the AMD Windows OpenGL drivers simply are awful, speedwise. So no matter what you do, if you are in Windows, you are definitely GPU bound here, and lose about 50% of the performance if not more. That situation will be rectified once CEMU moves to Vulcan or someone will bring out an OpenGL -> Vulcan library for Windows for AMD cards. Dont expect AMD to fix that, they wont put any more work on OpenGL which is a legacy lib by now. There are several cross platform libs which might become the solutioh in the long run, in development. I have posted screenshots of my setup (Ryzen 2700x with an NVidia 2080 and you can see that I am close to 60fps in the most demanding area in 4k), but I have done all needed steps to get the performance up (Cemuhook fps++ and triple core recompiler). I am close to the 8700k perf here, but I guess due to the nature of the 8700k which favors low threaded emulation an 8700k would probably bump me from 54fps to 60fps in this area. Not too much of a difference though anymore. I am talking about stock performances here with optimized Ram. If you start to decap the 8700k and start to OC it, then the difference of course becomes bigger for single core and low core scenarii. So just saying that Cemu favors Intel is not really true, there are so many variables in the game with the biggest one in my opinion is running a threadripper probably in an unoptimized scenario and running both on an AMD card. Try Linux here if you havent to get the AMD card equation out of the game. The Linux OpenGL drivers are way better and way better optimized. Last edited by werpu; 05.11.2018 at 08:25. First off, this is my system built for gaming. It’s using 3200 ddr4 ram and yes it’s properly “overclocked” in the bios as such. So I can assure the ram isn’t an issue. As I stated both copies of CEMU are updated and optimized(which means they are running cemuhook/FPS++ and yes I’m running triple core compile(on both) and as it is running very smooth on the “slower” intel system, I can assure you I have it configured properly. Nailing down the threads to certain cores changes nothing.... which it shouldn’t. The 1900x is already a chip with half the cores disabled... and AMD disables the cores that would share resources. 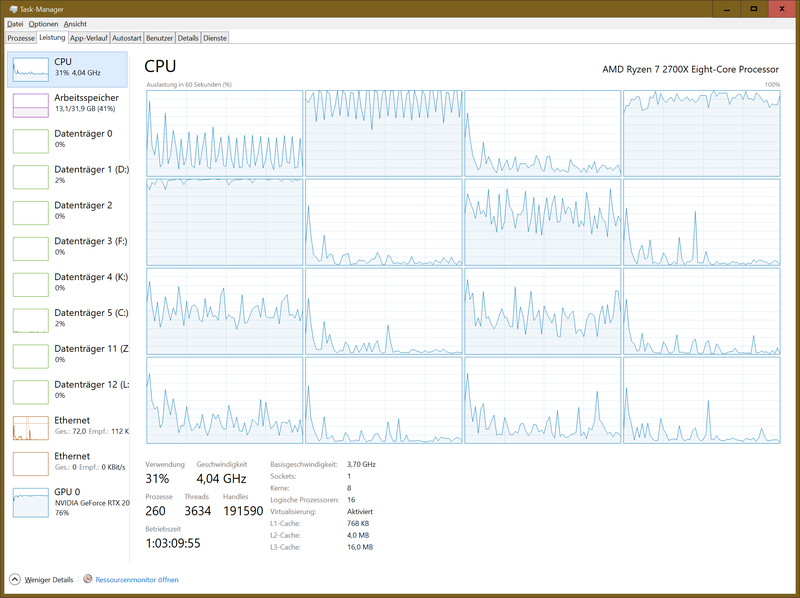 Even if I was using a 1950 and the cores were sharing the same infinity fabric resources.... this effects performance by around 3%.... not by 100%. While you clam nvidia has “multithreaded optimizations” in reality it’s just OpenGL extension that allow for more texture calls.... OpenGL cannot me truly multithreaded by how it is designed. Personally, I have several games (mostly older) that run in OpenGL, and comparisons with my brothers 1080 card, the performance In every game I’ve played in OpenGL is on par with nvidia. 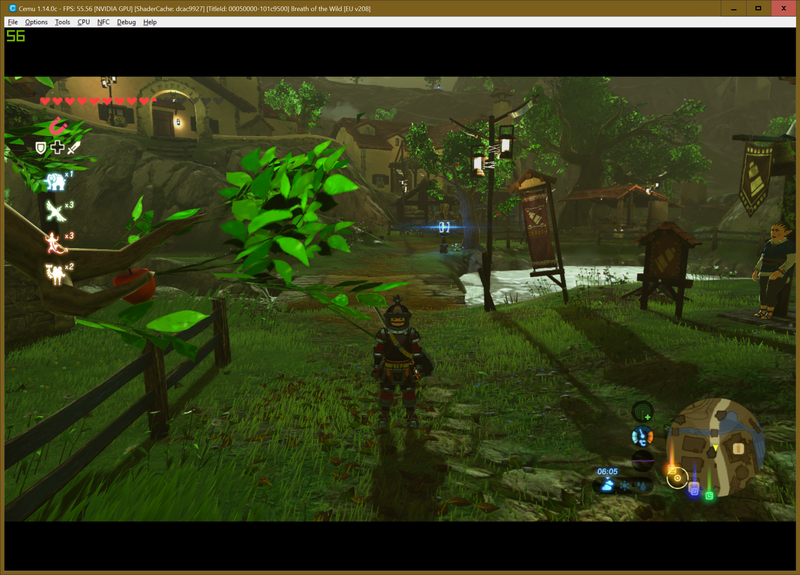 I’ve yet to see an OpenGL game play at 1/2 the speed as CEMU does just because I’m using an amd card. And as for linux, since linux mint 18, the computer can hardly get to the desktop with most newer ati/amd cards. AMD stopped updating the repository drivers and you have to install the kernel drivers from their site which is a pain. As far as game performance, it’s plain sad... and most times don’t render properly(especially with the open source drivers) so no.... I’ve never got to the point where I got CEMU installed and working on Linux because professionally programmed games work poorly and are hard enough to get “working” without serious rendering issues.... I’d hate to see what CEMU would have looked like. The only way to game on Linux in my opinion is to pass the gfx through to a windows vm... which I have done and actually works much better, but then I’m just gaming on windows and I’m back to square one. Why is the intel cpu seeing framerates more than 2x the speed of the threadripper? Why do amd cpu’s Seem to perform ok when paired with nvidia cards? Ok now that I know the details of your configuration, I am very puzzled myself here. The Cemu people seem to touch the something in the drivers which drags the performance down. People reported way better performance on the opensource AMD drivers in Cemu in Linux than on Windows on the Rxxx cards. So some people using CEMU even reverted towards Linux for playing. I am rather confident the situation on your side will be resolved once the CEMU people have their Vulcan port ready. Btw. the long history of problematic drivers on the AMD Radeon side is the reason why I am still on NVidia, although their shady price gouging really makes me considering AMD again. For the time being there is no real alternative once you move into the upper range. I hope AMD will get its act together like they did on the processor side. But I guess it is a harder job to make the Radeon driver group working well again as their processor division which always did a good job, they just most of the times were restricted by the subpar manufacturing output of GloFo. This problem is finally resolved AMD is no longer bound to GloFo. Not having a Radeon card, I cannot give your test scenario a shot. Sorry. Last edited by werpu; 06.11.2018 at 06:53. Ryzen cpu's are absolute beasts at cemu. Yes you are correct the 8700k will be better but here is a screenshot of my performance on a 1700x at stock clocks with an r9 fury. This is on linux so windows performance with an amd gpu will be substantially worse to the tune of 25 fps on average. But Windows performance with an nvidia gpu will be better. And yes I have tested with a gtx 1070. Since you already plan on getting the 1080ti then I fully recommend the ryzen cpu. It's a great cpu on a great platform that should get you at least one more significant cpu upgrade with zen 2 next year and possibly another revision after that. If you have a change of heart and want to get an amd gpu then I would only recommend getting an intel cpu to overcome amd's terrible open gl performance. Assuming windows that is. Last edited by Xalphenos; 06.11.2018 at 15:49. I have my doubts that an Intel CPU will help out here that much. The best bet for Windows if you wanna go the AMD route is to pair a Ryzen, which indeed is a beast, with an NVidia card. Btw. Nice performance you have here.